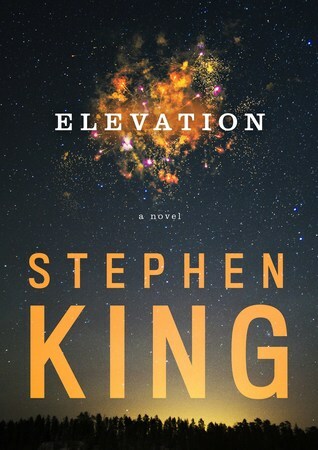 Elevation by Stephen King is a novella length fantasy read…. 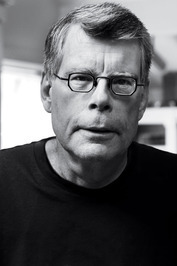 yes, that’s novella and Stephen King in the same sentence folks. And before you ask, I am labeling this one a fantasy too as there’s nothing scary or horror about it either. Elevation centers around a character named Scott Carey who finds himself mysteriously losing weight, except he looks exactly the same. You see, Scott steps on a scale and the number keeps going down week after week, day after day, but there’s no outward appearance and he can even hold a free weight while on the scale with no change so Scott is looking for help with his new problem. Now, if you are like me and think well this sounds familiar.. Thinner anyone? But no, this story is more of a contemporary why don’t we all get along story that just happens to have supernatural weight loss at the center of it. Not sure if it’s the current political environment or Mr. King was just bored but this had a Kumbaya feel as different types of characters interact with the main character. Weird, yes, but it wouldn’t be the first story from Stephen King I found weird but still strangely entertaining on some level.